Summertime is a great time to get outside and enjoy nature! There’s so many outdoor activities that it’s hard to choose which one to do! As you look at your list, there’s one activity that almost everyone can do and it requires little investment or equipment, other than a good pair of shoes. That activity is hiking. Has it been awhile since you hit the trails? Then it may just be high time to “Take a Hike”! If you’re ready to hit the trails, there’s no better place to go for a beautiful summer hiking adventure but to the Smoky Mountains! With the warm days and cool nights, summer is primetime to explore those picturesque mountain trails and see nature at its’ best! The Smoky Mountains are a great place to hike during the more seasonal months. The national park is packed with beautiful nature, from hills to trees to animal life and scenic views. However, visitors must be aware of the fact that with all natural trails, there can be a certain amount of soil erosion. Be sure and check conditions of local trails with the Smoky Mountain National Park before you set out on your hike. Know when sunset is and plan your hike accordingly. You may get caught up in the excitement of the wonderful outdoors, but the sun will set eventually! You don’t want to be caught out in the mountains unprepared when night falls. Make sure you inform others where you are going and when to expect you back. Always hike with a friend or a party, as it is dangerous to be hiking out alone. You always want someone there that can watch your back or call for medical assistance in the event that anything should happen. One of the best things about hiking in the Smoky Mountains is when you are able to spot different wildlife that make this area their home. But bring your binoculars, because it’s going to be tough to spot them up close. You may also be able to see beaver, squirrels, deer, woodchucks, birds, and more. The Smokies are home to many animals, amphibians, fireflies, mammals, and more. Don’t Forget Your Bear Spray. You can legally carry bear spray on your person to protect you from attacking or aggressive bears or other wildlife. However, the spray must be labeled Bear Pepper Spray, commercially manufactured, and registered with the EPA as well as have 1-2 percent of capsaicin and capsaicinoids. Check Online for Trail Closures. Sometimes the park may be closed in some areas or not open to the public due to acts of nature such as fire, flood or weather conditions. Be sure to check the online site for the Smoky Mountains National Parks to be sure that the area you’re planning on going to is free and clear. You wouldn’t want to go up there only to have to turn around and come back. Water is a must if you’re going to go hiking. Be sure that you bring more than enough water for the time you will be spending in the Smoky Mountains. Always bring at least two bottles of water per person for short hikes and increase the amount if you are planning a longer hike. Bring along some food in case you get hungry or lost. It is better to always be prepared, even if you don’t need it. These types of kits are invaluable in case of an accidental bite, cut, scrape or fall. Most first aid kits don’t add much weight to your backpack. You can pick up an inexpensive first aid kit at your local drugstore or at a store like Wal-Mart or Target. This trail is 4.9 miles and in the Elkmont area. You’ll see tons of beautiful wildflowers such as Canadian violets and pretty streams! This 8.3 round trip trail in the Tremont area is challenging but a good choice for people who are looking forward to beautiful waterfalls and tons of beauty. You can also see several historical artifacts along the way as well. This Elkmont trail is 2.3 miles round trip and has great scenic views, including waterfalls. Great for families! An easy 0.6-mile hike located in Cherokee/Deep Creek that includes waterfalls. A not too challenging 4-mile hike rewards travelers with wildflowers, old homesteads, and more. This 11-mile trail is hugely challenging– hikers beware! These are just a few of the most popular trails in the Smokies. Do your homework and choose the trail that sounds the best to you! 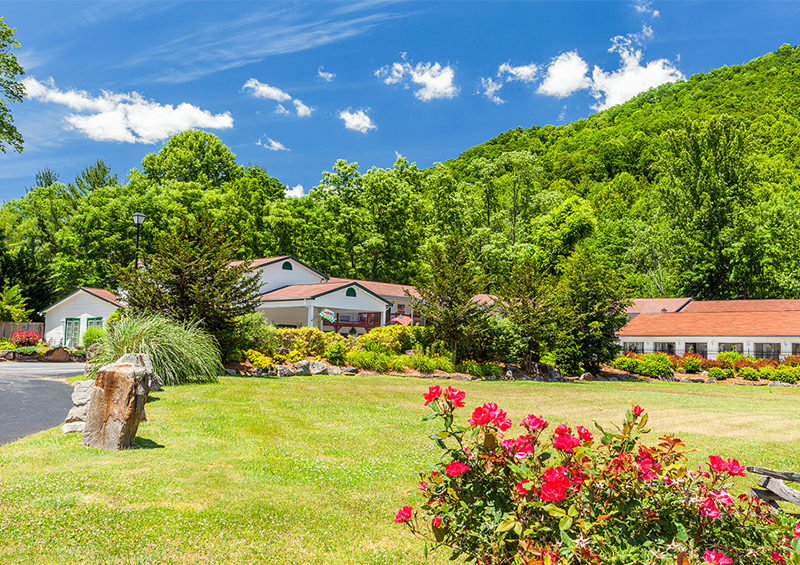 Of course you’re visiting the Smokies, you’ll need a comfortable place to stay. 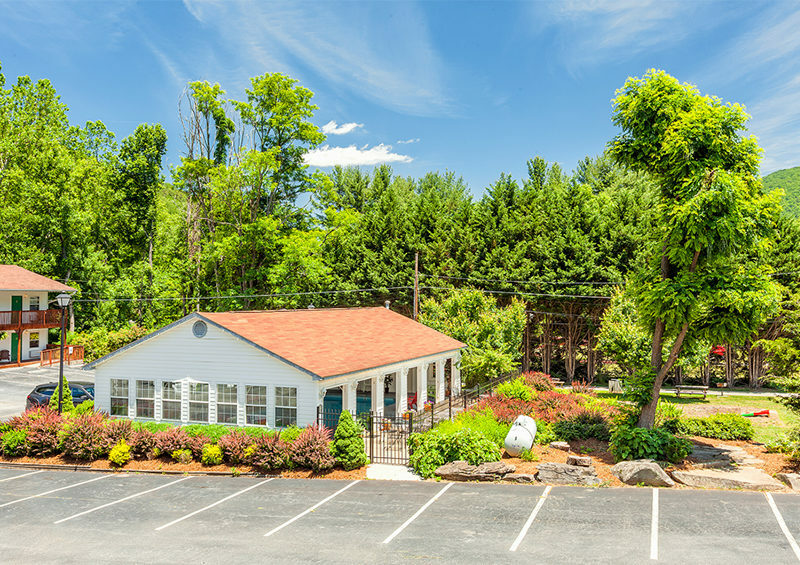 Creekside Lodge in Maggie Valley offers a cozy, relaxing atmosphere that is very welcoming after a long day on the trails! 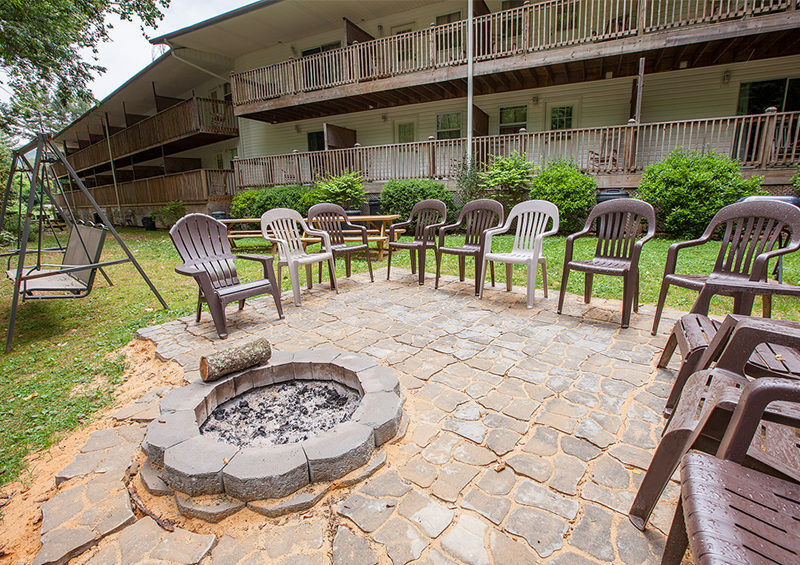 Creekside Lodge is a family-owned and operated and provides the perfect venue for nestling in and enjoying a time of peaceful relaxation and rejuvenation. 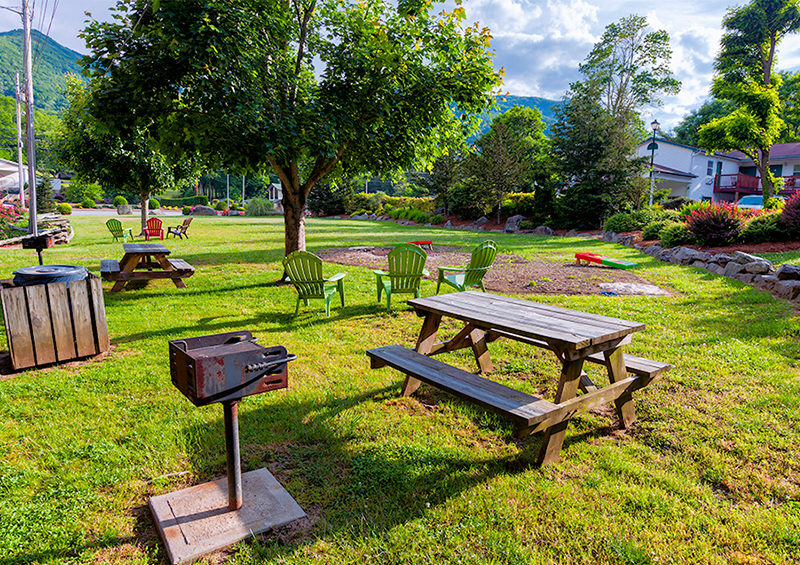 Summertime is a busy time at Creekside, so call 800-621-1260 today to reserve your spot! Grab your hiking shoes and get ready to make some great summer memories!